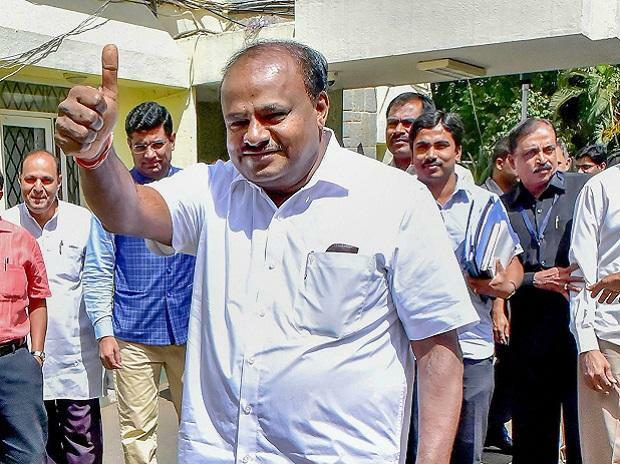 Dismissing any threat to the Congress-JDS dispensation in the state after two MLAs withdrew their support, Chief Minister H D Kumaraswamy Tuesday said his government was stable and he was "totally relaxed". Seeking to put up a brave front, Kumaraswamy said, "I know my strength. My government is stable. Don't worry." He added, "Whatever are the episodes in our Kannada (TV) channels going on from last one week I am enjoying it." Taking a swipe at the BJP, the chief minister said, "What is going to happen? If two independents declare support (to BJP). What will be the numbers? I am totally relaxed." Independent legislator H Nagesh and KPJP's R Shankar have written to Governor Vajubhai Vala announcing withdrawal of their support to the seven-month-old Kumaraswamy government. Both the Congress and the BJP have been accusing each other of trying to lure legislators. The BJP MLAs are presently camping in Gurgaon, amid reports that some Congress and Independent MLAs are staying at a hotel in Mumbai.